Police lieutenant Eve Dallas found the first victim butchered in his own home. The second lost his life in a vacant luxury apartment. The two men had little in common. Both suffered unspeakable torture before their deaths. 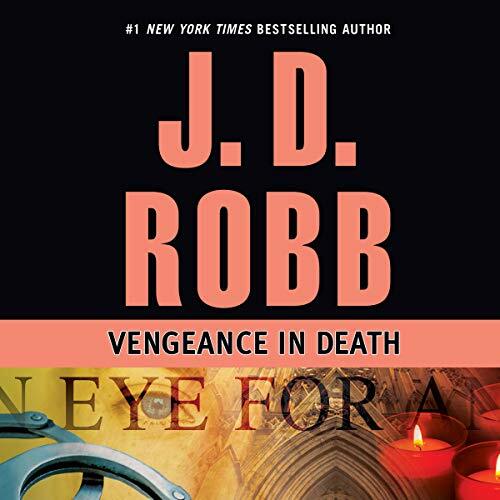 And both had ties to an ugly secret of 10 years past - a secret shared by none other than Eve's new husband, Roarke. 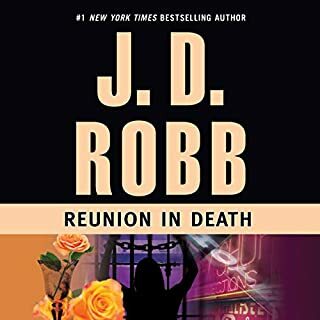 Is there a Roarke out there for me? 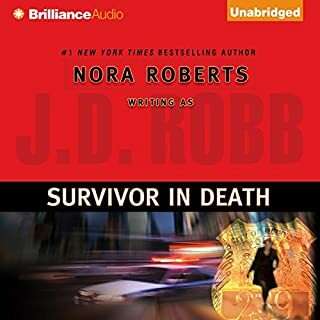 I love Nora Roberts, but resisted reading her as J. D. Robb. 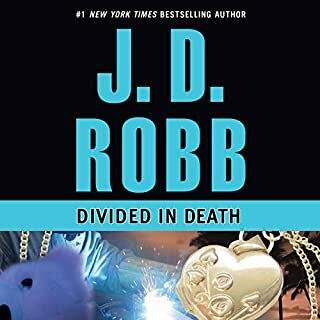 I decided to try this summer and got the Audible version of the first in her "In Death" series. I absolutely love the books. I think the character of Eve is real enough. 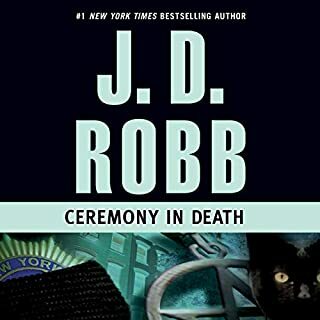 Although I realize that the character of Roarke is only a dream, I pretend that he really could exist. The narration is excellent, and the narrator is one of my favorites. I'm reading them in order. 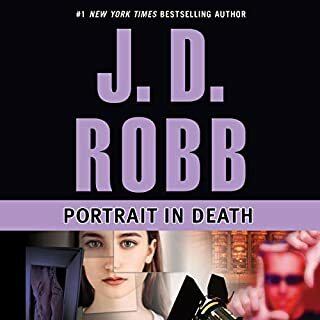 I'm trying to space my reading of the "In Death" books a bit, so that I can savor each one rather than just gobble them down in an Eve Dallas frenzy and have no separate memories of individual books. It's not easy, believe me. 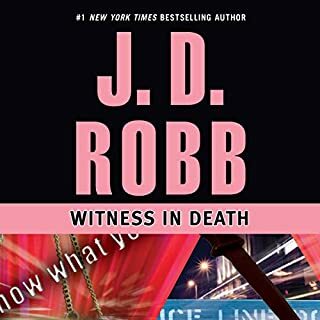 As I have said in previous reviews, this futuristic mystery, police procedural, romance, thriller series is an addictive guilty pleasure for me. 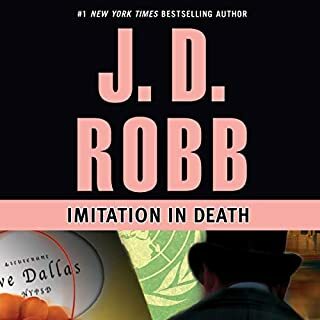 In this excellent 6th episode in the Dallas-Roark saga, someone is killing off Irish men and women in NYC one by one using bizarre methods. 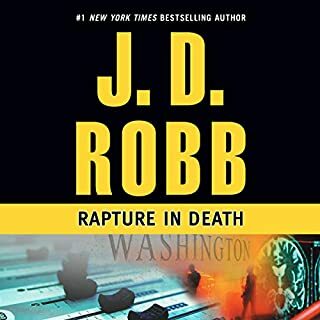 As things progress, it becomes clear that the dead people are somehow connected with an incident far back in the shared past of Roark and Somerset, and that Roark and Somerset are the ultimate targets. This plot provides the opportunity to explore their pasts in Dublin and learn more about the characters of both men and what shaped them. We also see the deepening and steadying of the love and marriage of Dallas and Roark, the growing friendship and professional relationship between Dallas and Peabody, and Dallas's growing recognition of both the benefits and the obligations of love and of friendship. 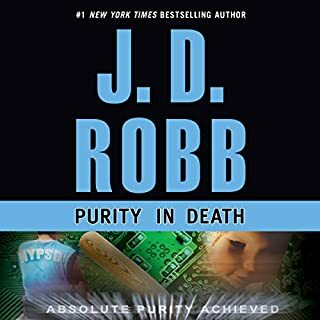 For me, that is the main attraction of these books: watching Eve Dallas developing into a more complete person, while still retaining a lot of those rough edges that helped her survive her past. 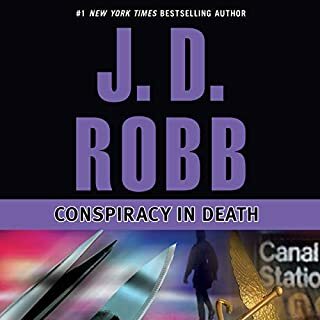 The cast of the books continues to grow -- in "Vengeance " Ian McNabb is brought in to provide e-assistance in tracing the killer's Internet locations. Almost immediately, he is expressing a healthy interest in Peabody. As always, Susan Erickson gives McNabb just the right voice -- brash, breezy, informal and enthusiastic. I continue to be in awe of Erickson's narration -- exceptional quantity and quality of voices and accents. After this great book, now I have to control myself to wait a whole week, if I can, before starting the next one in the series. 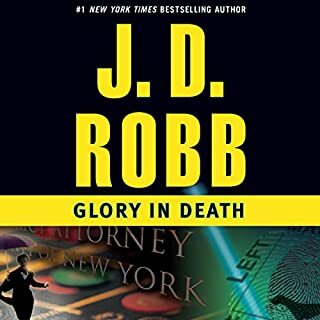 Many aspects of the joint history of Roarke and Somerset are clarified and explained in this entry in the series. We meet Ian McNab for the first time, and Susan Ericksen treats us to Eve Dallas under the influence of a serious painkiller. It's a serious story, with a vengeful, brutal and bloody killer. Well done! 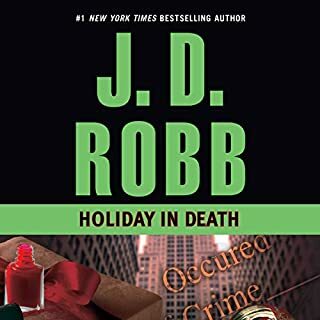 J. Robb casts a believable plot in this classic murder mystery that holds your attention throughout. I've been reading the series in order. I like the characters, but always seem to have to suspend my beliefs - and not because of the future time settings of the novels. The characters seem to me to be ..."too." 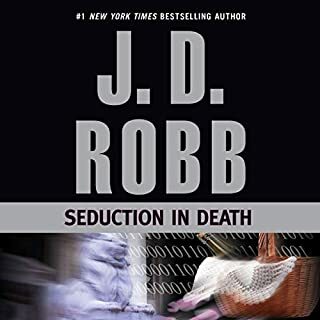 Roarke seems to be too good, too intuitive, too much a tool who's only purpose is to take care of Eve. In other books, Eve seems to be more human. In this installment, she seems to be always yelling and uptight. This book also minimizes the peripheral characters, Peabody, et al. The delightfully odd collection of Eve's friends are hardly mentioned. Perhaps, this is why Eve doesn't appear to be as likeable here. The plot is good. I did guess "who-dun-it" ... mostly.. close to the beginning, but still enjoyed the chase. This hasn't put me off the series. In every series, there are some installments that are better than others. I really like the series and thought this one was great. I'm really getting to know the characters and trying to figure out the plot twists as they the story unfolds. This series is keeping me busy and will continue for at least a few more months with as many as they have. 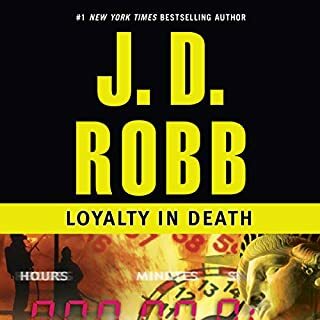 Is the series possibly too long? 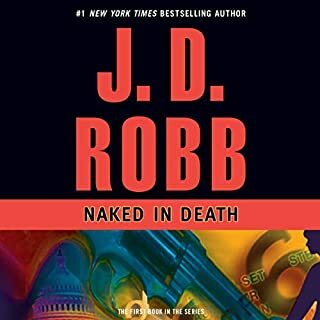 I don't know if I have possibly "read" too much of this series and I possibly need a break, but I just couldn't enjoy this one as I have the others. 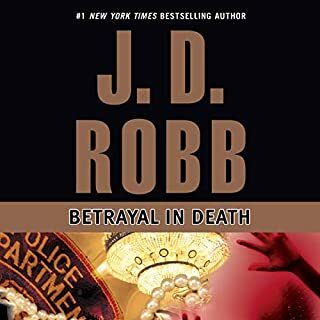 Not to say this is a bad book, same story line, Roarke always implicated, always a friend involved now it's Summerset, surely no one world can have 1 person so involved in all aspects of everything? 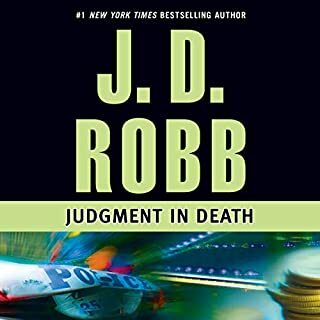 I couldn't give it a bad rating because as the series goes, this is the same just different deaths, victims and suspects. Something needs to change, something needs to happen. I think as a stand alone it would be great but I might have to give this a break for some time. As much as I want to know how this relationship gets properly onto track, I just can't see myself doing 26/27 of these books, it would drive me nuts. If you are a fan of this series, this book is just as quick and fun as all the rest. Susan Ericksen continues her excellent narration. If you could sum up Vengeance in Death in three words, what would they be? Trying to guess how each person was connected was greater than any jigsaw puzzle. Learning more of Somerset's back story in wonderful. That would have been a treat. 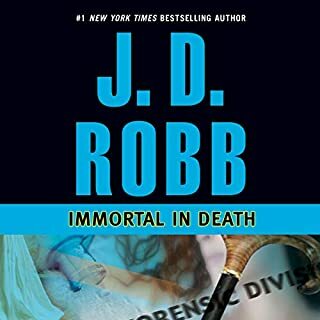 We travel by car exclusively and the IN DEATH series has been a companion for years. Finally owning them from book 1 and meeting each character in order is special.